Our professional roofers can help you identify problem parts of your roof and determine the best plan of action. Your roof is a key part of your home, but it's far too easy for it to be ignored. After all, your roof is so often out of sight and thus out of mind. However, ignoring roofing issues can lead to more serious problems later down the line. Roof cracks and punctures can become roof leaks and roof leaks can lead to even more serious damage to the interior of your home. The best way to prevent these kinds of issues is with regular roof inspections. Our roofing experts can carefully examine your roof and catch signs of roof leaks long before you actually experience a problem. If you've had a major storm recently then we can also look for any signs of possible storm damage. If you have any problems then we can help with our comprehensive roof repair or roof replacement services. Whether you need to repair your roof, replace your roof, or simply have it inspected, Earth Smart Remodeling, Inc. is here to help. Contact us today and schedule your free estimate for any of our services in Haverford, Cheltenham, Glenside, & nearby! 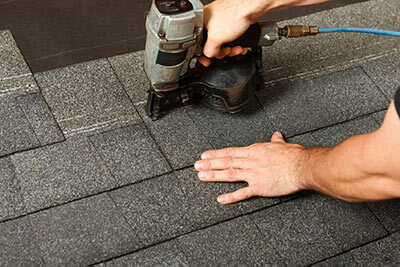 The most important part of your roof is generally the roofing shingles and other finished roofing materials. However, there are other areas of your roofing system that also play an important role. Our expert roofers will make sure to inspect all these areas of the roof before helping you decide whether roof repair or new roof installation is right for you. Roofs play an incredibly important functional role by protecting your home from the ravages of the elements. However, you can't underestimate the impact a roof also has on your home's curb appeal. Even if the old roof hasn't completely worn out a new roof can be a major improvement when installed by expert roofing contractors who can help you choose the right style for your budget. Your roof often makes up more than half or your home's exterior and any improvements you can make during your roof replacement can have a dramatic influence on your home as a whole. Some exciting new roof options you might want to consider include composite shingles that look like old-fashioned roofing slates but are made from recycled rubber and architectural grade modern asphalt-fiberglass shingles that show off extra depth and texture. Get started meeting your roofing needs with a free estimate! No roof will last forever, but you don't want to replace your roof too early and waste money. Luckily our experts are here to help. Here at Earth Smart Remodeling, Inc. we have years of experience in the industry and can help you determine whether your roof is in need of replacement or can be fixed with simple repairs. Ready to get started? Contact us today and schedule your free estimate in Haverford, Cheltenham, Glenside, Abington, Drexel Hill, Cherry Hill, Horsham, King of Prussia, Feasterville Trevose, Huntingdon Valley, & nearby PA!